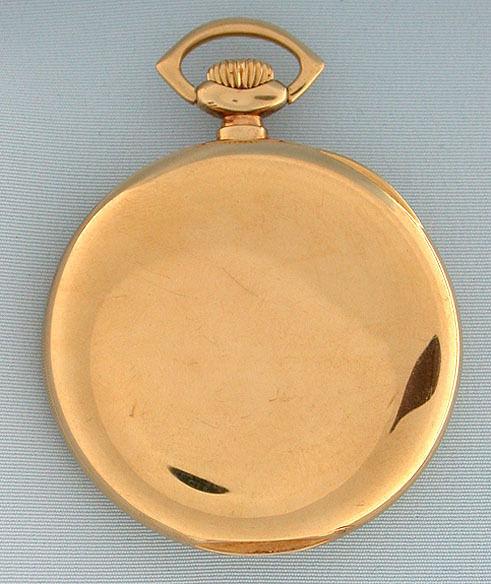 Fine Swiss Agassiz 18K gold 8-day antique pocket watch with winding indicator circa 1920. 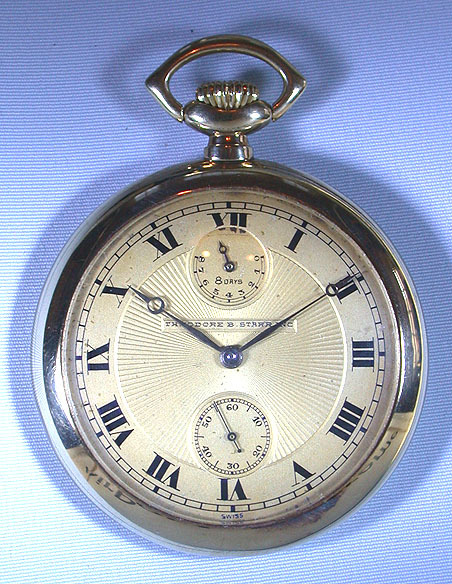 Handsome gold sunray dial with blued steel hands. Slim plain polish case. 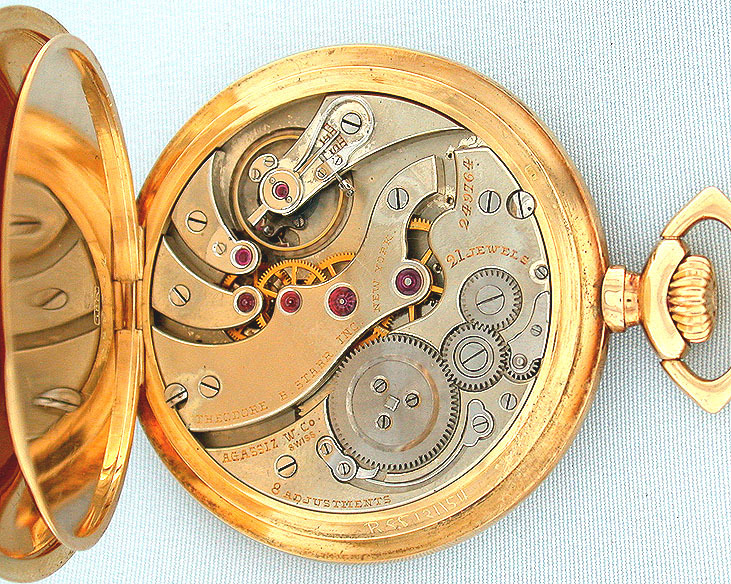 Fine nickel 21 jewel 8 adjustment movement. Particularly fine condition throughout.